A modern invention of the 1820s that revolutionized the science of light and shipping was the Fresnel lens. This invention, created by Augustin-Jean Fresnel (1788-1827), is a lens with an array of prisms capturing light and extending its reach. Today we are still influenced by these lenses around the world. Fresnel (pronounced fray-NEL) lenses were originally created as a solution for the tragic ship wrecks that were prevalent in the 1800s. Ship captains, sometimes unable to see coastal waters due to low light, crashed their vessels into the reef with disastrous results. Light naturally diffuses in all directions. Finding a way to cut down on this diffusion was the challenge for many years. At the time, shiny metal reflectors around the light source (oil lamps) were used to enhance the light, but this only gave about 50% reflection. French physicist Augustin Fresnel’s skill and brilliance in interpreting the mechanics of light led to innovative lens inventions. Lighthouse visibility improved tremendously, and consequently made shipping safer. Although I have been to many lighthouses, I never regarded the light as anything special. Then last year I was in the Visitor Center at a California State Park, Angel Island, and became instantly dazzled by a waist-high glass piece mounted on the floor. 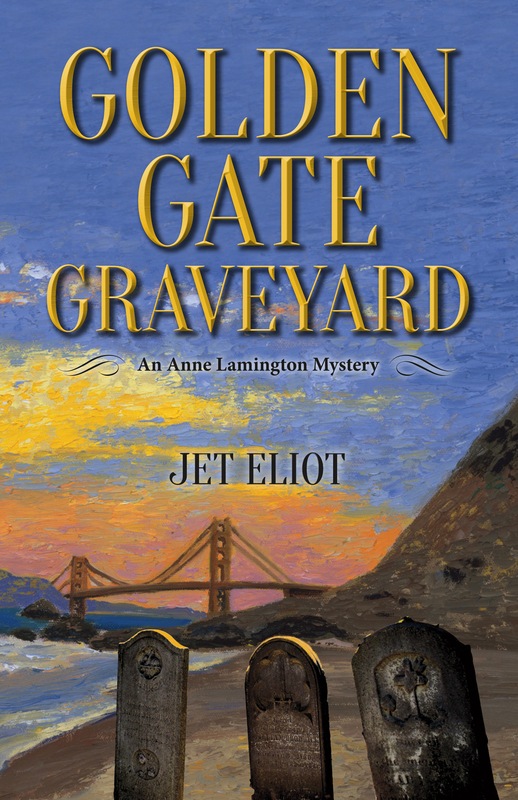 It had once been used in the lighthouse on Angel Island, and was on display. It captured the light of the room in the most extraordinary, and beautiful, way. I’ve been a fan ever since. 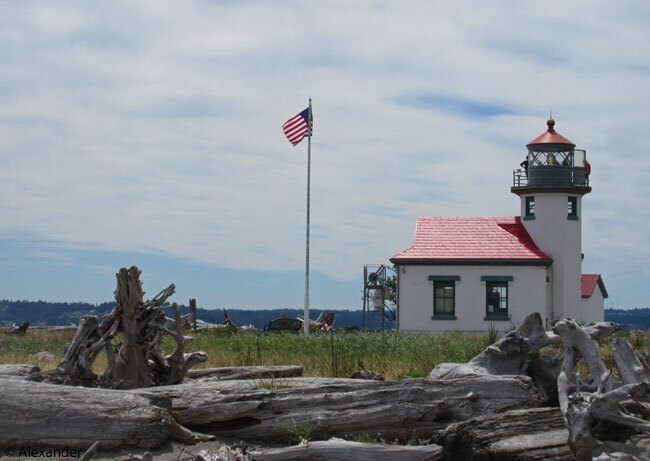 Vashon Island, WA Lighthouse. You can see the Fresnel lens in the tower through the windows. it is constructed with concentric grooves that act as individual refracting surfaces. The first lens was installed in 1823 off the west coast of Fresnel’s home country, France, near Brittany, a land long-known for its rugged coasts. Here there were treacherous reefs that tragically and repeatedly snagged and destroyed ships. The new lens was a success. Thereafter the French coast was lit up by Fresnel lenses. More info: Cordouan Lighthouse. Early innovations began in France and Scotland, with America and other countries following. Chronology of Fresnel Lens Development. Each lens was produced in brass-framed sections and could be shipped unassembled from the factory. They were made in six different classifications, or orders. A 1st order lens is the largest size, at approximately 12 feet high (3.7 m), lengthening the light beam 26 miles. Here is a cross section of the Fresnel lens (on left) compared to a conventional lens of equivalent power (on right). 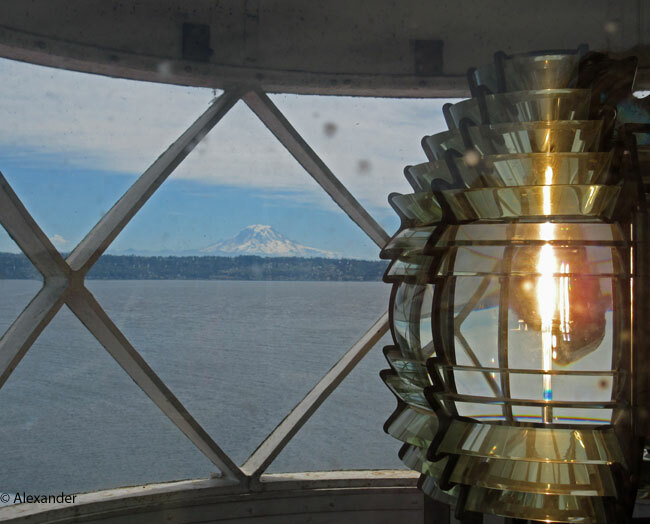 Lighthouse beacons have been significantly modernized since the 1800s, but there are still lighthouses with Fresnel lenses–some in working order, some just on display. There are also many Fresnel light-refracting techniques in use today: spotlights, floodlights, railroad and traffic signals, camera and projector lenses and screens, and emergency vehicle lights. Many photographers and artists, including myself, hold a deep fascination and reverence for the miracle of light. How fortunate for us to have had Fresnel’s engineering skills to brighten this further. Rotating Fresnel lens, 1st order, dated 1870, displayed at the Musée national de la Marine, Paris. Courtesy Wikipedia. 1st Order Fresnel lens, Cape Meares Lighthouse, Tillamook, OR, USA. Courtesy Wikipedia. Fascinating post, Jet. Those lights are just so beautiful! It is incredible to see a Fresnel lens, I am sure you would like one, Amy, with all the photography and light you have studied in your life. Thank you for your visit today, and all days. This is one of the most unique and interesting posts I’ve read in months. Thank you. As a lighthouse lover, I found this fascinating, Jet! Thank you so much for taking the time to research this and share it with us. I hope it inspires you to look closely at the light source in your next visit to a lighthouse, Jill. If you come upon a Fresnel, you will witness the ingenuity and beauty firsthand. Thank you for always visiting and commenting, it is a treat. What a fascinating post…and what a beautiful item the Fresnel Lens is. I can only imagine that these beautiful lens must be big collector’s items…..and I would love to experience the light that you described. Thinking of you Jet…and hoping things are moving along in the right direction on your property. I am recently back from two weeks in Portugal and am just getting re-organised. The plan is that I will be here in my studio/flat in London through to early spring, other than some short trips within the UK which will allow me to get into a work flow. Welcome back, Janet. I knew you were at your special art heaven in Portugal, and I know I can look forward to reading about it. I imagine it was as wonderful as it always is. I’m really glad you enjoyed the Fresnel post. I have just fallen in love with these lenses and have had a great time learning more in my research for this post, and so happy to share the wealth. Cheers, dear friend. Such wonderful inventions… these beacons for lighthouses! Really an enjoyable read, Jet. Thank you for this informative post. Yes, they were wonderful inventions — happy you enjoyed the post, Iris, thank you so much. A very interesting post, Jet. The Fresnel Lens is beautiful. I wonder whether my Umhlanga Rocks lighthouse has one? Their website has many details about the lighthouse and its lights, but does not mention a Fresnel lens. My guess is it does not. Great to see you, Sylvia, thanks for stopping by. I do enjoy visiting lighthouses, thank you for the interesting post today Jet. So glad you enjoyed the Fresnel lens post today, Sharon. I hope you can visit a lighthouse with a Fresnel lens someday, I am certain you would like it. It always wonderful when function and design unite to create something of beauty. You just described the magic behind the Fresnel lens, Jan, thank you. What a fascinating history of Fresnel lens.! Thank you so much,Jet for share it with us. The classification are interesting. Yes, I thought the classifications were interesting too, Amy. Thanks so much for your visit today. The original Hartlepool Lighthouse was dismantled because it was in the line of fire of defensive guns in WWI. wow. It has gone through some reconstruction since then. The Museum of H. has several shipbuilding relics, but they don’t mention a Fresnel lens. I know your walking shoes will probably get you there someday to find out for sure. Always a pleasure, Jo — thank you. A most interesting and informative post Jet! Thank you Belinda, I’m really glad you enjoyed the Fresnel lens post. This was an enjoyable read! I love how sometimes form and function combine to produce a beautiful object, and these are beautiful. Lighthouses are almost always an architectural and locational delight, and if they have a Fresnel lens, then that’s the jackpot! Thanks for this, and have a wonderful weekend – we hope you’re beaming! Well I know I’m not beaming as brightly as a Fresnel lens, pc, but the light is shining through. I so loved your comment, my friend, thank you. You make a good point that lighthouses are also a delight. Many thanks to you, and wishing you and Mrs. pc a very happy weekend. Very informative post, Jet. This was especially interesting since my husband is a commercial fisherman and spends a lot of time on the water. We appreciate the importance of lighthouses. I imagine you would appreciate the importance of lighthouses, Anneli. I remember well that wonderful recent post you wrote of the treacherous waters off Vancouver Island. Glad you enjoyed the post today, thanks so much. OK, I have now discovered a new lighthouse for my next trip to Washington!! 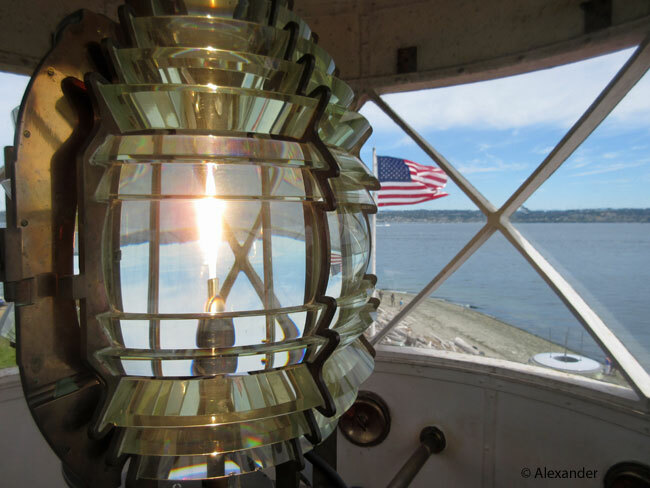 Love your post and was fascinated with the history of the Fresnel lens. I love lighthouses and have had the priviledge of visiting a number of them from Northern California up through Oregon into Washington! Great post and again…welcome back to your house, I know it’s been a few weeks now and has to feel good! Again appreciate learning of this Lighthouse….can’t wait to check it out!! Have a great weekend!! A few years ago we set a leaf on fire with the intensity of the sun under a magnifying glass, a little science lesson that we did with our grade school neighbor. It’s a common magnifying lens trick, but effective, and fascinating. I would guess you have done something like that too in your youth, HJ, and have been enjoying ever since. I’m glad you enjoyed the Fresnel post, I had a great time researching it. I enjoyed your comment, and always appreciate your visits. Thank you. I think I’ll pop over to see your Saturday Reds right now…. Thank you Val, I’m glad you found the Fresnel post interesting. There’s probably a few good Fresnel lighthouses lenses in Scotland, maybe next time you’re there…. Fantastic interesting post, Jet! You definitely have me captivated by these lenses. With all the excellent photography you produce, I would imagine that lenses are an interest to you. So I’m really glad you enjoyed the Fresnel post, Dina — thanks so much for stopping by. Thanks montucky — always fun to have you stop by. Science and art merged into glass. I love the shapes. They remind me of art deco. Thanks for the link and all the information. I have always gravitated toward Art Deco, so it’s great that you mention the shapes having an art deco quality, Sherry, I guess that is part of the attraction for me. I’m glad you enjoyed the Fresnel post, thank you. A lifesaving invention, many thanks to the inventor, Jet. Great, interesting post. Funny how a lens could be a lifesaving invention, but you are so right, Michael Stephen — thanks for your visit and comment today. Interesting read… always learning something new on WordPress! Glad you enjoyed the Fresnel lenses, Roslyn — thanks for visiting. The Sandy Hook Light (oldest lighthouse in the USA) recently reopened after renovations and I was able to climb to the top and see behind the ‘beehive.’ I’d seen these from the outside in other light houses, but this was the first time I saw how tiny the actual light bulb really is. It’s a remarkable invention that makes that tiny light visible for miles! You are a font of the most interesting information, Jet! I am so grateful for your curiosity about and appreciation for the many wonders – large and small – of our world. Sending best wishes to you and Athena from Munich! All this time you have known me, Nan (my whole life), my love for the Fresnel lenses is probably something you never knew. So how wonderful that you enjoyed this post and the Fresnel lens with me. I hope as you fly out of Munich today, that your journey is safe and easy. Auf Wiedersehen! A fascinating post Jet. I had not appreciated that that lens technology was so widely used. Even with today’s modern technology the lighthouses are still invaluable, as are the lifeboats and crews that rescue those in trouble on the sea. I’ve worked with them in projects in the past and the stories they tell and the history of wrecks and rescues is amazing – the fresnel lens design is so important! The sea is a mighty force. I liked hearing of your experiences talking and working with rescue crews, Alastair, and your appreciation of the Fresnel lens. And I agree, the Fresnel is still so important today. Always a great treat to hear from you, my warmest thanks. I loved all of this information about the Fresnel lens. I’ve been to Angel Island many times…but never in saw that light in the Visitor Center. Most likely, I’ve only hiked and biked on the island, and never went IN the Visitor Center. ;-0 That’s a sin! Next time we visit, I’ll be sure to go in there. Glad you enjoyed the Fresnel lens post, Gunta — smiled as I pondered a lighthouse with an elevator. Thanks so much for visiting — always a pleasure. 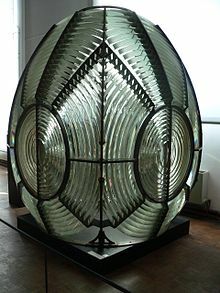 Lighthouses are always objects of romance, and the fresnel lenses combine the best engineering techniques with efforts to prevent tragedy. The stories of the keepers of the light are also the stuff of legends. There is so much history and yes, legends, and beauty to lighthouses. And I agree, Cindy, the Fresnel lenses were an engineering phenomenon that saved lives. Glad you enjoyed this, and stopped by. I cannot seem to access your blog posts, but I sure enjoy it when you stop by. That truly is amazing, I agree, Bill — a 12′ lens that shines 26 miles! Warm thanks for your visits, always. Reading your post Jet I wondered why lasers have never been used in Lighthouses? The light would certainly travel further.Very interesting post.I’ve visited several Lighthouses along the northern California coast as well as Oregon. Glad to hear you’re thinking about the lights, Wayne. Although I am no expert on lighthouses, I think lasers are a part of today’s lighthouse illumination, though I do not know to what extent. I do know that the beauty of the Fresnel is that it cuts a wider swath of light, whereas laser beams are more narrow. Glad you enjoyed the post, I thought you might, as your being a photographer and working with many lenses and light all the time, this lens adds thought to the topic of light. You always research your subject so well Jet! Great post! I love to learn! So glad you enjoyed the post, Kendall. Thanks for visiting. What beautiful photos! And so interesting to learn about! Thank you for stopping by and commenting, much appreciated. Thank you for the link! I have been in Howth for a cliff walk and saw the lighthouse. Will visit it when I have a chance (I am quite claustrophobic). I have only been in one lighthouse, but there was no such lens. Lighthouses all have their own stories to tell, which is why I love them. Nickel Creek, a bluegrass trio from the 90’s, sings a beautiful one (The Lighthouse’s Tale). What a great history you’ve presented on the Fresnel lens .. may not have known about it otherwise. Cheers, Jet! Oh Shannon, what a delight to hear from you. I’m happy you enjoyed the Fresnel lens and the lighthouses. Next time you’re in a lighthouse, you will know what to look for. My friend, a great treat — thank you. Hi Katy, Yes, California is on fire again, and it’s pretty bad. I am safe and am in between the two bad firestorms. The northern Calif. fire titled “Fire Storm” is about a hundred miles away. The LA fires are many hundreds of miles away. Still, we are choked now for five days with blue-gray smoke, raging winds, unable to go out unless absolutely necessary, schools closed, wearing face masks with breathing filters. Thank you for your kind inquiry. Good Lord. It’s heartbreaking. I am so glad that Y’all are safe. Sending so much Love to Y’all and to Beautiful California. These examples are, of course, very practical but the glasswork is also so beautiful! Yes, the glasswork is so very beautiful. Thank you.